1. Register as a member for free or Login if you already have an account. 2. Add the items into your shopping cart. 3. Review your shopping cart by clicking on "Cart". 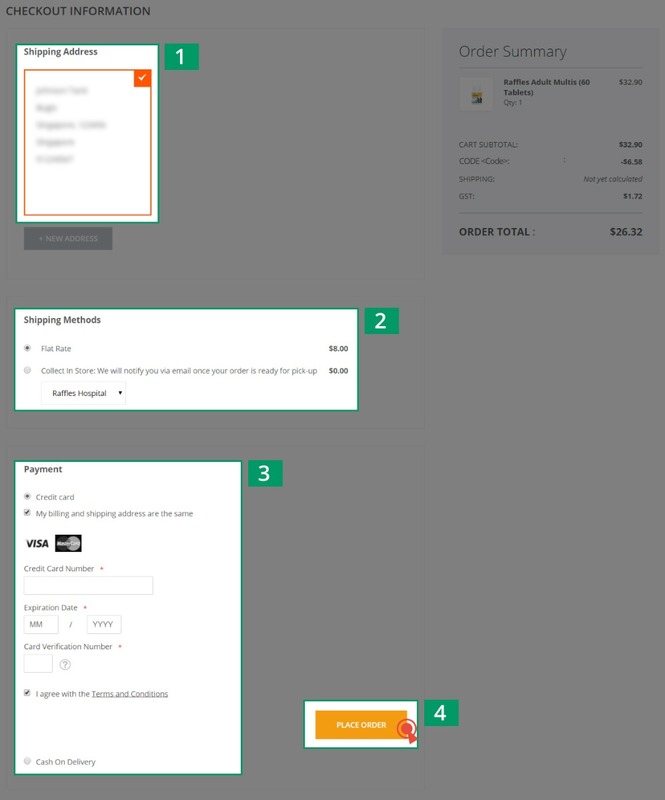 Select "Checkout" when you are ready to purchase your items. 4. At the "View Cart" page, copy or type your code into the code box, and click “Apply”. After confirming your order, click on "Proceed to Checkout". 5. Enter your shipping address, preferred shipping method and credit card information. Click on "Place Order" once you have confirmed all details. 6. You will receive a thank you message after your order is successfully submitted. We will also send you a confirmation email with a summary of your order. Need more help? Check out our FAQ for a list of commonly encountered issues and how you can solve them, or you can email us at rhealth_cs@raffleshealth.com.